There are two types of local groups of the OBOD – the seed group and the grove. To form a Grove, there must be at least two members in the Druid grade. 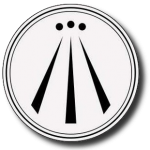 A seed group can be started by anyone in the order, with the aim of providing a community space for other members to meet and discuss Druidry and other topics of interest, meditate together, or to celebrate the festivals of the eightfold path of the year. The Silver Branch is a seed group, and as an informal group hopes to provide just this form of community in west Michigan. As a local group of the order, we do not offer training, attempt to replace your mentor in the course, or offer initiations into the order. Membership in the Silver Branch is informal and does not constitute membership in the OBOD. Since the OBOD training program is that of a mystery school, we have decided to set apart private meetings, different from the public meetings in that only members of the OBOD should attend. This is not to be exclusive towards anyone, but to give us a chance to engage with one another more deeply on the specifics of the OBOD course.